He has carved out a niche imitating the breakthrough hit Taken – but which is the best? In 2008, Liam Neeson introduced us to Bryan Mills, a retired CIA field agent with a very particular set of skills. Skills he acquired over a very long career. Skills that have since made him a nightmare for action movie fans everywhere. Because, whether you like it or not, Neeson has been repeating that same formula for close to a decade since. He’s done Taken with planes, Taken with trains and Taken with, er, wolves. But now the fun is finally over. Neeson’s latest movie, The Commuter, which sees the veteran actor bring the Taken formula aboard a fast-moving train, in what he’s promised will be his final action movie outing – he is 65 after all. Which begs the question: Taken aside, which of Neeson’s other action movies are actually worth revisiting and which should be avoided at all costs? 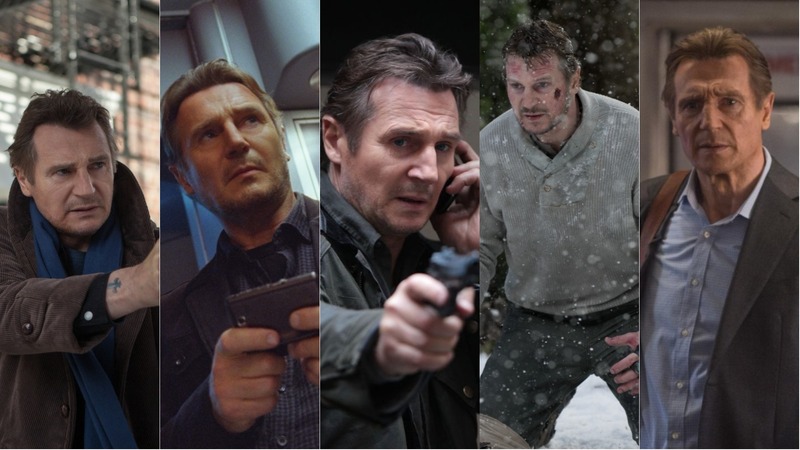 Here’s a definitive ranking of every action movie Neeson has made since that isn’t Taken. The final nail in the Bryan Mills Taken franchise coffin. Taken 3 makes Taken 2 look like Taken. No one is even f**king Taken, this time either. The only thing that is taken is everyone’s money. A Transformers rip-off based on the board game of the same name. Neeson plays Admiral Terrance Shane. Neeson carries the look of a man trying his darnedest not to look like he’s just quietly thinking about the money he’s being paid for this. A plausibility-stretching amnesia-led psychological thriller in which Liam Neeson’s character, Dr. Martin Harris, spends most of the movie forgetting he’s basically Bryan Mills. Then he remembers. Things improve dramatically from there. A piss poor sequel that sees Mills side-lined and much of the original’s violence toned down. Instead, things are flipped on their head with Mills watching on which his daughter, Maggie Grace’s Kin, comes to the rescue despite possessing none of his “skills”. Neeson found time to share the action limelight in this underrated A-Team update, which is fun, if a little stupid. One scene, in which a tank parachutes out of the sky, is particularly enjoyable while Neeson has a ball as John “Hannibal” Smith. Mainly because he gets to smoke a lot of cigars. Taken on a plane. A plane where someone is sending Liam Neeson’s off-duty alcoholic air marshal Bill Marks some pretty mischievous texts. Texts claiming someone will die every 20 minutes. Texts no one else seems to be taking seriously. He does a cool, mid-air jump though. Neeson plays an evil Bryan Mills this time, former Irish mob enforcer Jimmy ‘The Gravedigger’ Conlon. Conlon’s old boss Shawn Maguire (Ed Harris) is out for blood after his son dies and make’s Jimmy’s offspring Mike (Joel Kinnaman) his target. Neeson is left with little choice but to go “full Taken”. Taken if Bryan Mills decided to become a private eye, A Walk Among The Tombstones offers something a little more than your standard Neeson fare and could have heralded the start of a new franchise. Unfortunately, most people thought it was just another Taken rip-off. Neeson’s best action movie that isn’t Taken, The Grey is a tense, action-filled survival thriller that answer’s the age old question: who would win in a fight between Liam Neeson and some wolves? Genius.